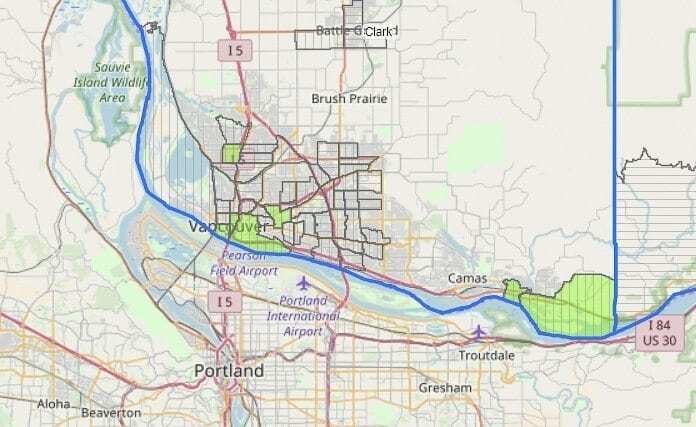 WASHOUGAL, WA— Two census tracts within the city of Washougal have been designated Opportunity Zones by the State of Washington, incentivizing private investment in the area through special tax breaks that will stimulate economic development and job creation. After a highly competitive application process, Governor Jay Inslee approved 139 tracts in 36 counties statewide for this new program on Friday, April 20, 2018. The initiative was a collaborative effort between the Port of Camas-Washougal, the City of Washougal and the Camas Washougal Economic Development Association (CWEDA). Letters of support were provided by the City of Camas, Columbia River Economic Development Council, Clark County and Community Foundation for Southwest Washington. The Opportunity Zone program was included in the Tax Cuts and Jobs Act of 2017, which was designed to provide tax incentives to investors who fund businesses in underserved communities. Washougal was one of the most impacted communities in the area during the Great Recession; approximately 17% of the city’s job base was lost as compared to 5% in most parts of the Portland metro area. With this program, investors are able to defer paying taxes on capital gains that are invested in Qualified Opportunity Funds that in turn, are used to invest in distressed communities designated as Opportunity Zones by the governor of each state. Among the tracts approved as Opportunities Zones in Washougal are the Port’s Steigerwald Commerce Center and Industrial Park, including portions of downtown Washougal, namely the Pendleton Woolen Mill and Bi-Mart properties. Also selected was the remaining area of downtown Washougal extending east along E Street. Paul Dennis, President/CEO of CWEDA said, “On behalf of our organization and local partners, we would like to thank Governor Inslee for including Washougal in the State’s Opportunity Zone program. The City of Washougal and the Port have been successful in attracting state and federal funding for infrastructure in recent years and the City has updated its long term Comprehensive Plan to focus economic development efforts downtown and at the port industrial area. Several projects within the designated tracts are in various stages of planning, and the Opportunity Zone designation will help attract capital that will lead to development.